If Jurin Laksanawisit is a footballer, he will be called a “utility player”. By that, he can help the team by playing any role no matter how small, how big, how unnoticeable or how important. Now, however, may be the time for the caretaker leader of the Democrat Party to go under the big spotlight for a long time. Jurin has become a leading candidate, besides Korn Chatikavanij, to become the new party chief. 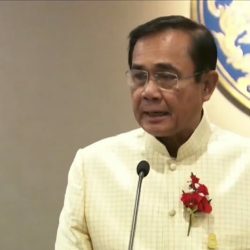 He has taken up the caretaker’s role following the resignation of the party leader, Abhisit Vejjajiva, who kept his promise to step down if the Democrats failed to win at least 100 MP seats in the March 24 general election, a vow that has a lot to do with the party’s principles and image. Jurin was always a “utility” substitute. 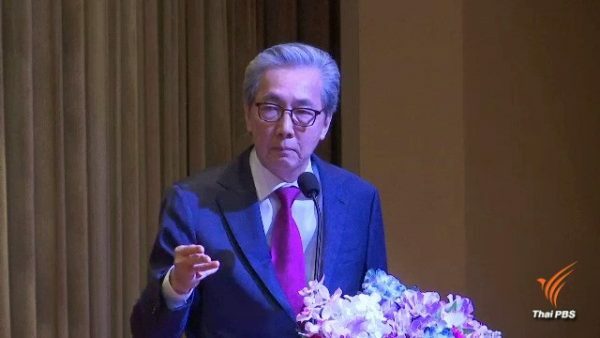 Earlier, between October and November 2018, he, who was then a deputy Democrat leader, had to act as the caretaker leader after Abhisit resigned his seat to facilitate the party’s “primary”, the sounding out of party members on the big question of who should become the next party leader. Abhisit was re-elected to the helm after beating two other contestants — former party MP Warong Dechgitvigrom and former deputy leader Alongkorn Ponlaboot. In last year’s leadership contest, Jurin, like many other Democrats from the South, voiced his support for Abhisit to return as the party leader. Throughout Abhisit’s final stormy days, Jurin stood by him. 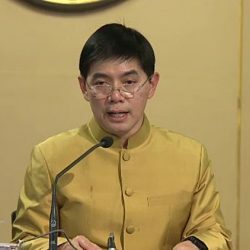 However, as Abhisit’s renewed leadership turned out to be short-lived, Jurin had to assume the role of caretaker leader again, and in doing so, can potentially put him on the spot where he will have to see if what Abhisit had done is good or bad or the party and do something about it. 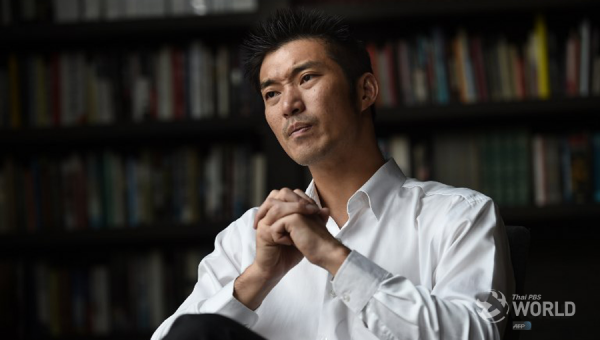 Jurin, 63, is a key party figure from the South, which was previously a traditional stronghold for the Democrats that allowed them to remain the “big party” largely through the past decades. The party, in the March polls, lost a lot of grounds in the South and Bangkok. 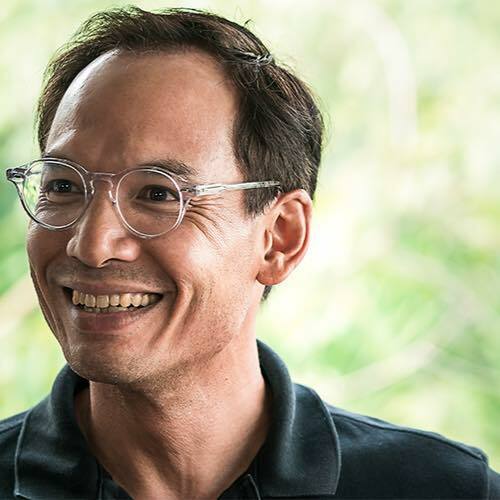 He is a 10-time MP — six times representing the southern province of Phang-nga, where he was born on March 15, 1956, and four times as a party-list MP. After completing his primary education in Phang-nga, Jurin furthered his studies in Bangkok. He later obtained his bachelor’s degree in Political Science from Thammasat University and his master’s degree in Public Administration from the National Institute of Development Administration, or NIDA. Before entering politics, Jurin worked as a political cartoonist and reporter at a daily newspaper. He drew editorial cartoons under the pen name of “Aoodda” — the nickname he got during his university days. In 1986, when he was 30, Jurin the aspiring politician was elected for the first time as a Democrat MP representing his home province. In the same year, the young politician was awarded the title “Rising-Star MP” by Parliament-based reporters for his active involvement in the successful campaign by the House committee for a United States museum to return a stolen ancient artefact to Thailand. Jurin served as the Democrat Party spokesman between 1989 and 1992. He became deputy commerce minister in 1992 and later deputy agriculture minister in 1994 under a government led by then-Democrat leader Chuan Leekpai. Jurin served as the PM’s Office minister between 1997 and 2000 in the second Chuan administration. In 2003, Jurin became a deputy Democrat leader, the position he has served until now. For many terms, he also headed parliamentary whips — both when the Democrats were in government and in opposition. In the government led by Abhisit, in power from 2008 to 2011, Jurin served as the education minister and later as the public health minister. He was regarded as one of the rare “quality” education ministers, who were hard to come by lately because the ministry was always considered “B-grade” and given to disgruntled political factions to calm them down. Jurin is also a productive travel writer, authoring a series of travel books about many countries in Asia, Europe and t Americas. Jurin is also a productive travel writer, authoring a series of travel books about many countries around the world. He appears versatile, politically or else. The quality, though, can be put to great test soon enough.